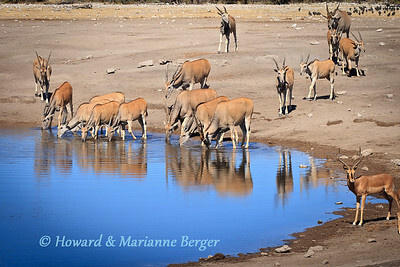 A pride of lions (Panthera leo) settled in at Chudop water hole, in Etosha National Park, Namibia for a few days. 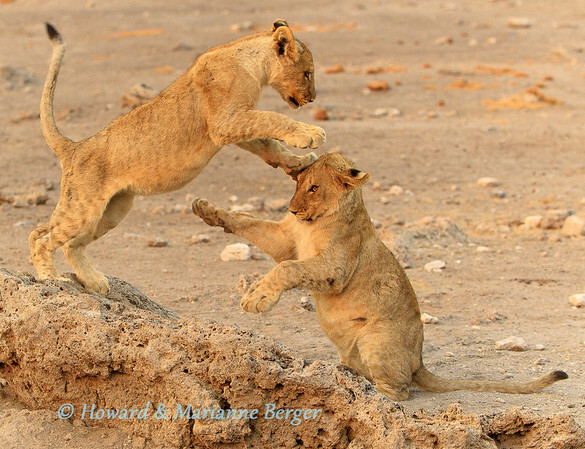 Each morning were treated to wonderful displays of agility by the cubs. 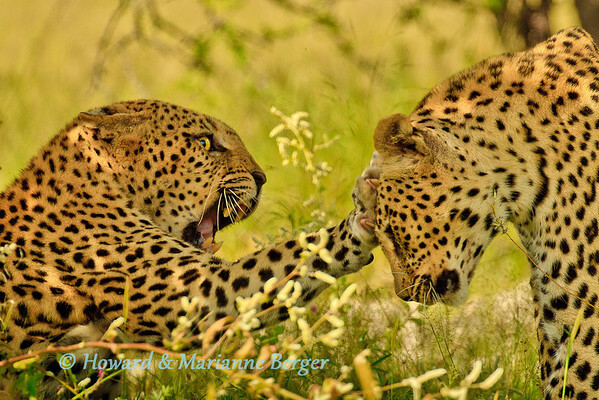 It was difficult to find the ideal depth of field and camera speed to capture their antics. 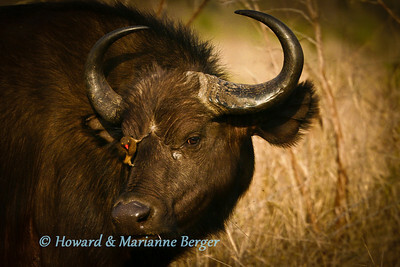 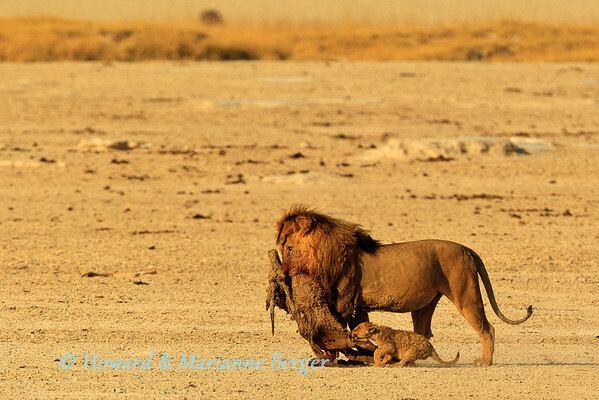 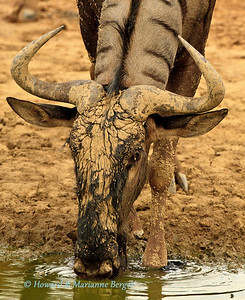 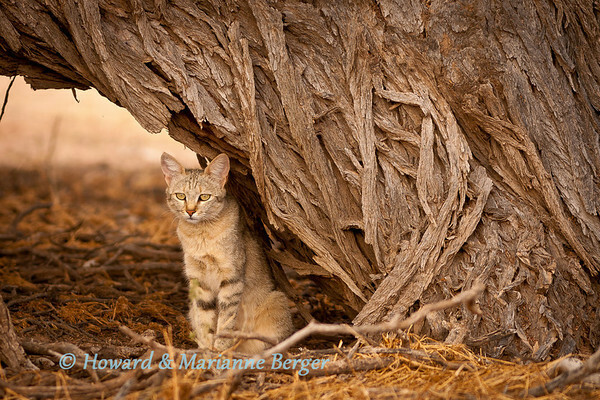 This birth was seen in the rainy season near Kamqua waterhole in the Kgalagadi Transfrontier Park in South Africa. 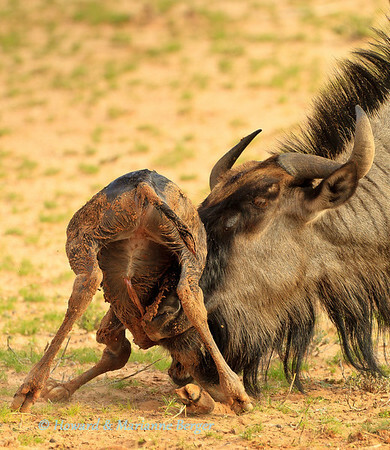 The newborn blue wildebeest (Connochaetes taurinus) made a number of unsuccesful attempts to get up, despite the the support of his attentive mother. 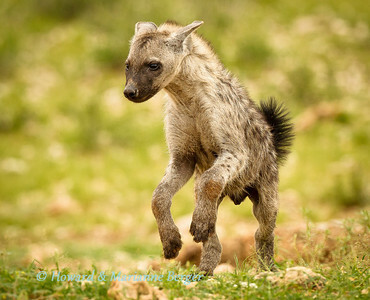 He was, however, soon up and about. 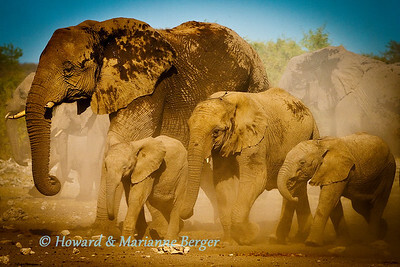 In a cloud of dust a herd of elephants (Loxodonta africana) arrive at Klein Namutoni waterhole for an afternoon drink. 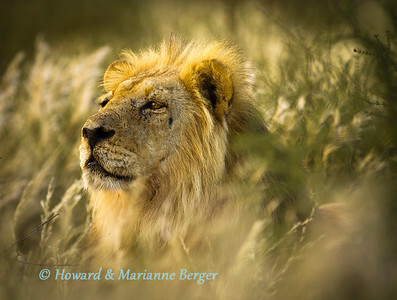 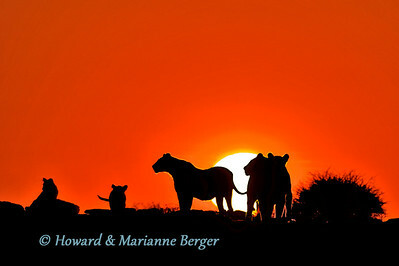 At Klein Namutoni waterhole, Etosha, Namibia, this pride of lions, on patrol, were silhouetted as the sun rose. 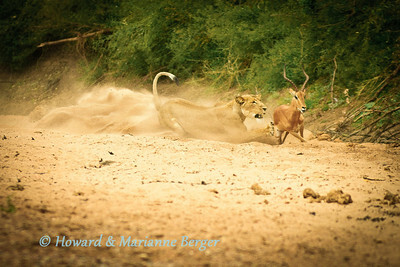 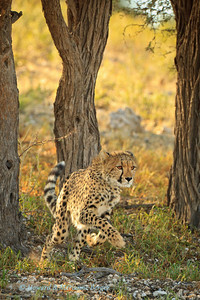 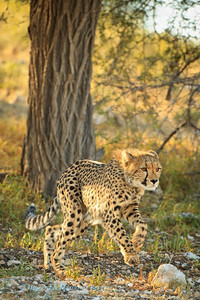 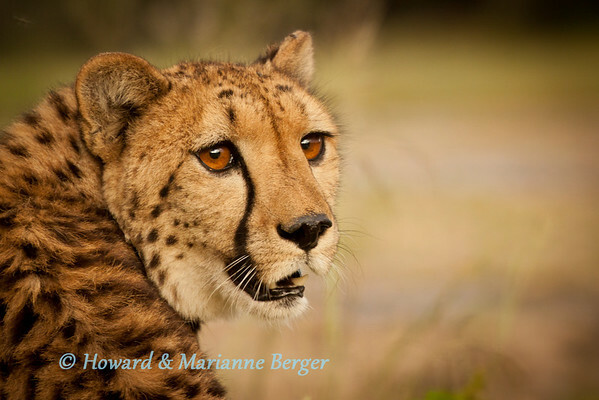 At Urikaruus waterhole, Kgalagadi Transfrontier Park, in South Africa cheetah cubs enjoyed a merry chase. 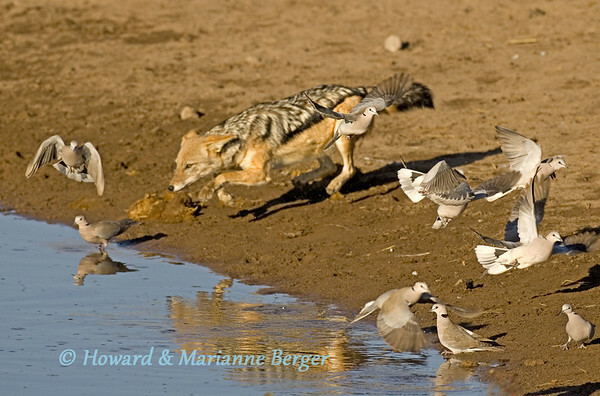 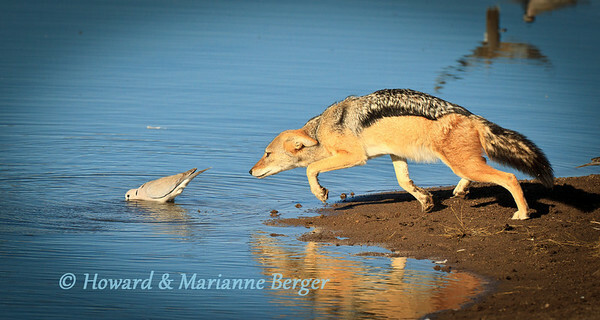 In the early morning at Chudop waterhole, Etosha, Namibia a blackbacked jackal (Canis mesomelas) catches a Cape turtle dove (Streptopelia capicola). 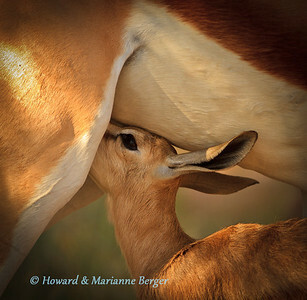 In the Kgalagadi Transfrontier Park, South Africa a springbok (Antidorcas marsupialis), suckles her lamb. 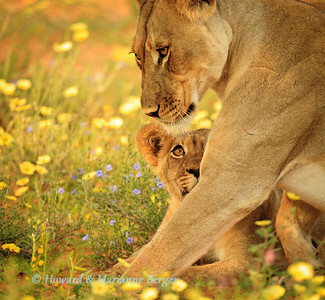 Along the Auob river in the Kgalagadi Transfrontier Park in South Africa this lioness (Panthera leo) and her cub were resting in the flowers. 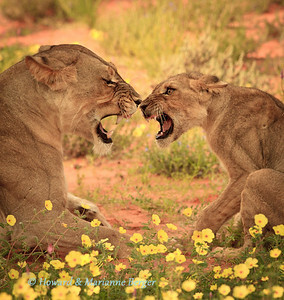 Suddenly they seemed to disagree and a ferocious display of anger erupted. 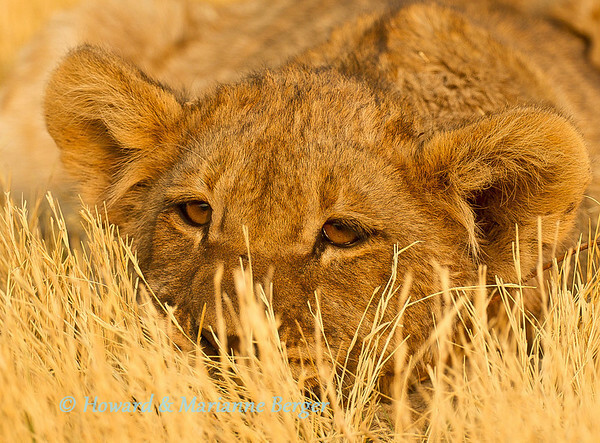 It, however, soon subsided.